In large skillet over medium heat, combine turkey, taco seasoning and water. Bring mixture to a boil, reduce heat and simmer 5 minutes, stirring occasionally. Place tortillas on a cooking sheet and bake for 4-7 minutes or until tortillas are crispy. 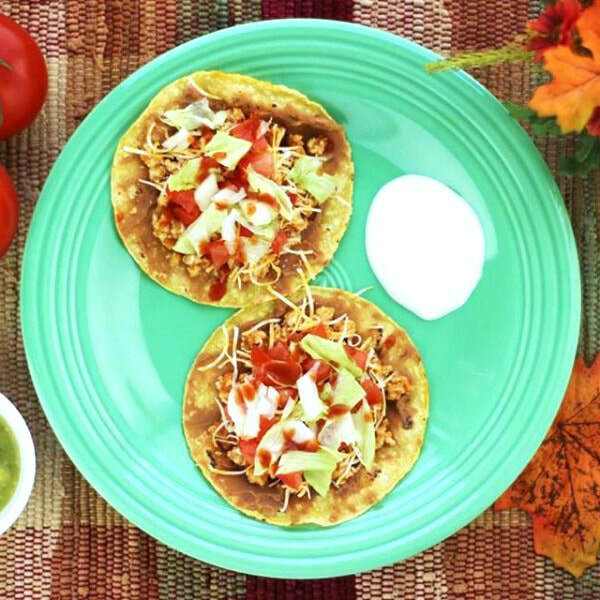 Add beans, turkey and cheese to each tortilla. Return to oven and cook for 2-3 minutes or until cheese is melted. Top with tomatoes, lettuce, onions and taco sauce. Garnish with yogurt and guacamole if desired.